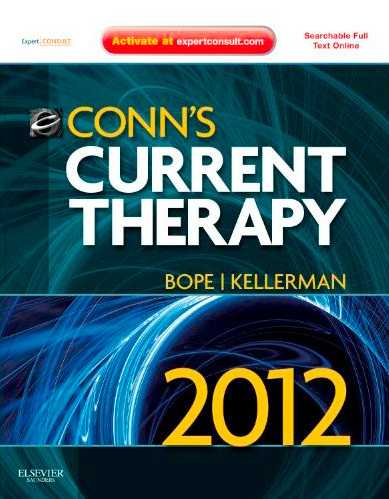 Conn’s Current Therapy 2012 offers expert guidance on the latest therapeutic options for common and not-so-common health concerns. Hundreds of international contributors provide evidence-based management options to help you make more effective diagnoses and achieve the best outcomes. Find what you need quickly and easily with a totally reworked organization of topics, and keep current with updated material throughout, including brand-new chapters on fatigue and migraines. 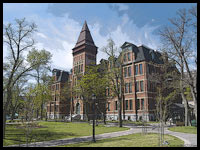 This practical guide, with its searchable online content at www.expertconsult.com, is your ideal way to learn and apply the latest, most effective therapeutic approaches. * Gain the most effective results for your patients with quick, easy access to the latest evidence-based treatments and therapies. * Apply the proven treatment strategies of hundreds of top experts in your field. * Optimize reimbursement using the latest ICD-9 codes. Easily reference in-depth topics such as metabolic conditions, digestive diseases, skin disorders, and more with a reworked organization that lets you look up specific illnesses and find all the information you need in one place. Get quick access to critical information with the new “Current Diagnosis” and “Current Therapy” boxes at the beginning of each chapter. * Keep up to date with recently approved and soon-to-be discovered drugs. * Search the complete text and download all the illustrations at www.expertconsult.com. Conn’s Current Therapy 2012 will be availabe in-store in December available, and can be pre-ordered now through our virtual bookstore, to be shipped directly to your address as soon as it is released.